IDCloudHost is a local web service provider based in Indonesia that offer a wide range of services including domain name registration and cloud hosting to name a few. This donated package can only be availed once and is for Indonesia NGOs only. Any additional packages bought cannot be used on the same domain, and renewal of the domain and hosting should be arranged directly with IDCloudHost. This would include one year registration of a custom domain name for your website and one year worth of cloud hosting to help support your website’s overall accessibility and availability. Note: Certain identification documents may be required from you such as organization registration documents and identification cards (e.g. Government IDs, Passports, etc.) as is traditionally required when registering a domain. This offer will be made available to Indonesian NGOs only once. 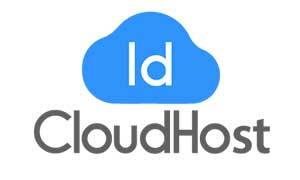 Renewal after the first year will be arranged directly with IDCloudHost for the appropriate market price. Additional packages bought will be for a different domain since renewal should only be arranged with IDCloudHost directly.